Leeds has been recognised as leaders in health innovation and has claimed fifth place overall UK Smart Cities Index. Commissioned by Huawei UK and conducted by Navigant Consulting, the Index is based on evaluations of 20 cities and their strategies, key projects and overall readiness in using digital technology to improve civic services from transport infrastructure to healthcare. The report found that Leeds is at the forefront of Britain’s smart health initiatives due to its development of integrated approaches to health and care services. 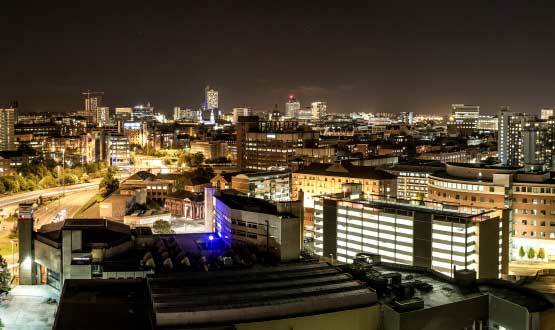 Cities were given overall rankings, but were then assessed on individual areas including healthcare – where Leeds dominated receiving a Star Award. A key initiative is the Leeds Care Record, a system that provides health and social care practitioners in the city with an integrated view of patient information. Through this system, general practitioners have direct access to patient hospital reports as part of a single application. The city is also a partner in the EU’s ActiveAge, Horizon 2020 project – helping to deliver independent living support, and personal health and symptoms monitoring. Digital Health News recently reported on Leed’s Council is developing a Person Held Record for residents. The £1.8 million Leeds PHR programme will kick off next year. Rebecca Charlwood, Leeds City Council’s executive member for health, wellbeing and adults, said they have been integrating their health and social care services and have developed projects that aim to make the city the best city to grow old in. “This includes moving forward with the development of the Leeds Care Record, which provides health and social care professionals with the most up to date information to improve further the service offered to patients and the introduction of the ‘Leeds Age Friendly Smart City’ programme,” Charlwood said. As part of the initiative, they are working with partners and third sector agencies in the city to empower older residents by increasing their access to new technologies and online services. Leeds’ smart city projects have been facilitated by the development of open data and data analytics. The Leeds Data Mill, now Data Mill North, was one of the first platforms in the UK to bring together open data information from multiple sectors and to enable information to be accessed for analysis and to develop new service solutions. “The digital revolution is gaining momentum all over the UK – smarter cities can improve people’s everyday lives from accessing healthcare to simplifying waste management and streamlining public services,” Matt Hancock, Minister of State for digital and culture said. In the overall report, Leeds is named one of 12 “contender” cities alongside cities including Manchester, Aberdeen, Birmingham, Milton Keynes and Glasgow. Sir Andrew Cahn, Huawei UK Board said it is clear from this report that cities across the UK have made considerable progress over the last year, developing and implementing strategies to improve the delivery of public services and the urban environment. The overall leader in the report is Bristol, followed by London. Well done Leeds… although dare I point out that Birmingham actually scored slightly higher on the Index scores than Leeds did, second only to Manchester in the ‘contender’ category. Whilst they did not cite it directly, we are doing a lot of interesting work including our own data sharing scheme (‘Your Care Connected’) which has the ambition of sharing data between all primary and secondary providers. There is quite a lot of other stuff in the report citing the work with data etc that is happening here. I was going to question your reply but then I realised it’s looking at health provision. I was going Leeds is probably number one in the EU, with Amsterdam second (and soon to be number one) but I’m looking at health software and informatics. I was simply going by the scores in the report which are broader than just healthcare. It is of course simply one set of opinions commissioned by a manufacturer, and no doubt there are other views with similar justification. 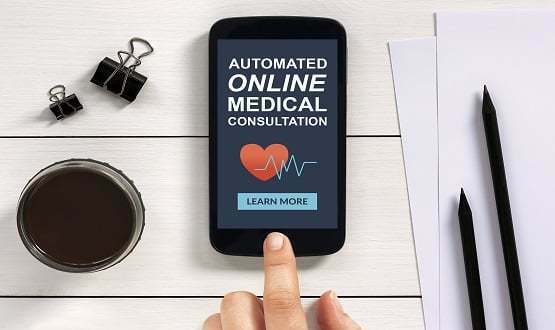 Motion which calls for GPs not to begin introducing online consultations until there is ‘clear evidence’ that it is beneficial to patients has been passed.